Around the country, a new conversation is emerging among municipal leaders and utility executives as they explore the energy/water nexus. While Senator Murkowski started the discussion at the federal level in 2014, local leaders are just beginning to question the impact of the energy/water nexus. The water/energy nexus deals with the need for water to produce energy, and for energy to treat and distribute clean water. Water infrastructure is an essential public service in any city and is intrinsically linked to energy. Smart technologies and smart strategies for water and energy utilities are needed to address conservation challenges and form the foundation for a truly Smart City. With the rise of the Smart City, Smart Region and Smart Country mantra, companies, organizations and cities are contributing to growing demand for all things ‘smart.’ The energy/water nexus is one area that can highlight ‘smart’ devices and strategies and long-range planning. As much as 30% of all clean, treated, potable water is lost before it reaches consumers, along with 30% of the energy it took to produce and pump the water and 30% of the chemicals to clean it. Cities and states could also use water policy to address Clean Air Act requirements. There is potential for utilities to get credit for using cold water to save energy and reduce their GHG emissions. Many water authorities and electric utilities are already beginning to work together to share advanced technologies and integrate infrastructure development plans. These efforts could include a number of approaches, such as addressing data gaps, encouraging public-private partnerships and helping to share best practices. On May 12-13, utility and municipal leaders from across the county will discuss these and other aspects of a Smart City at the 2015 Energy Central Smart Cities Conference in Charlotte, NC. How can Smart Cities best integrate water and energy efficiency? What role do state and federal policymakers have in supporting these efforts? Which policy instruments would most effectively support conservation in the water/energy nexus? Smart cities indeed have a role to play in water conservation. In California, it will be interesting to see how Gov. Brown’s mandatory cuts are implemented by the State Water Resources Control Board. On the water-energy nexus, it is presently unavoidable that cities in the South of the State require energy to get their water. Desalination, while itself very energy intensive, but which would reduce the intense burdens on the State Water Project, must be considered as an alternative to the present status quo. The energy-water nexus relates to everything along the supply chain, from production (whether energy or water) to transmission to distribution to consumption. Just as advanced metering infrastructure (AMI) and data analytics enable electric customers to be empowered with the information needed to be more energy wise (and efficient), the same is true for water customers. But beyond informing customers, AMI and analytics help utilities optimize their resources, prevent theft and reduce losses. For utilities that provide both water and electric service, investment decisions and infrastructure deployment is relatively straightforward. However, where different entities serve water and electric customers, integration will require the input of city leaders, regulators and companies that can “broker” this coordination. There are examples of separate entities sharing the costs and benefits of a smart communications network. This gets to the heart of what a “smart city” can be but needs the support of regulators. The American Society of Civil Engineers estimates that deteriorating water infrastructure will have significant impacts on the U.S. economy, and the cost of replacing infrastructure could reach $1 trillion. Smart water (AMI and analytics) could help identify where to invest the money for improvements, getting the most bang for the buck. But policies have to keep pace with these data and integration needs. This includes providing incentives to become more water and energy efficient, enabling infrastructure investments. For water and energy efficiency programs, there is no “one size fits all”. Programs will and should vary depending on local climate and geographical considerations. What’s appropriate for a coastal city whose waste water discharges into the ocean is different than for one where discharge is to a river flowing to other communities downstream. Project planning should consider the full hydrologica cycle for the service region. In some cases, much of the water “lost” to evaporation from cooling ponds or by transpiration from green belt plantings is not actually lost from the system at all; it returns as incremental precipitation in the watershed supplying the region. How much returns will depend on prevailing wind patterns and terrain. However, where the fraction is high, forcing power plants to convert to less efficient dry cooling can be counterproductive. It only contributes to a general drying out of the region. What would be helpful is a comprehensive knowledge and experience base that municipal planners can go to for information and planning assistance tailored to regional needs. My impression is that there are currently, for example, many uncoordinated pilot programs for water purification and recycling that are being run by various municipalities. The objective is to gain experience and facilitate planning for larger follow-on projects. The lack of coordination and many redundancies are a happy situation for the contractors, but not particularly efficient. Also helpful would be policies to facilitate funding of infrastructure projects. Tax-free municipal bonds are the traditional means for cities to acquire low-interest funding for projects, and they work reasonably well. But voters are often reluctant to approve bond measures that will have to be repaid by special levies. The types of projects needed to improve water and energy efficiency typically have very long working lifetimes and relatively low post-completion O&M costs. They may save money and improve the quality of the environment in the long term, but don’t pay off quickly. Roger’s comment about financing hits on how economic development plans can be used as a means to spur smart city projects. Unfortunately, the goals of “sustainability,” “efficiency,” and “livable environment” are in themselves usually not enough to attract investment or allocation of funds. Demonstrating that a smart city improvement project will foster economic benefits through competitiveness (attracting business), jobs, and other measures of economic productivity is a vital step. A good example of this is Chattanooga, TN who along with smart meter rollout, has invested in a high-speed fiber optic network (the fastest internet in the U.S.) which has attracted new business investment from Amazon, Volkswagen, and others. The policy challenge is establishing a vision for the smart city, leveraging data into investment priorities, and translating that into potential economic benefits. Each kWh of electricity evaporates 1.8 liters of fresh water into the atmosphere. In 2014, wet cooling of turbine exhaust steam at thermal power plants (coal and nuclear) consumed 3.4 million acre-feet of fresh water in the US. That’s the highest consumptive use of all. Let’s see, 1.8 liters of water at 2260 kJ / liter would be 4068 kJ of waste heat removal for 3600 kJ of electrical generation. So, 47% thermal efficiency — a fair number for older CCGT’s or for the most newest coal-fired plants. Older coal plants would need more like 2 liters, newer CCGT’s about 1.5. But 1.8 is a good average. A follow-on question rarely asked is how much of that 1.8 liters per kW-hour returns as precipitation to the watershed from which it was withdrawn. In some locations, nearly all; in others, almost none. It would be nice to have maps that planners could reference. For California’s coastal cities, evaporative cooling for power plants using seawater would add a significant amount of much-needed moisture to the air. Most of it would fall as precipitation in the Sierras. “Free” desalination, though the cooling towers would have to be designed to deal with corrosion issues. What a great idea …. I remember reading several years ago that it takes 4 times the amount of water we use in our homes to produce the electricity for that same home. Evidently the opportunities are best in “each of these states, Alabama, Maryland, Michigan, and Wisconsin could save more than 250 billion gallons of water withdrawals a year by replacing uncompetitive coal generators with renewable energy.” Florida, Mississippi and Georgia, states that are reluctant to comply with the Clean Power Plan could save at least 5+billion gallons annually in addition to meeting their carbon reduction goals. Water saving is also included in the list of efficiency and renewable energy generation that is available for PACE loans in several states, another good idea, but I am glad to see a full analysis will be done by DOE. The nexus is not always simple. UCS says that carbon capture and storage would curb heat-trapping emissions, but it could increase water consumption between 35 and 95 percent and some concentrating solar power plants consume more water per unit of electricity than the average coal plant. Combining a low water requirement with new energy generation is the right way to go. http://www.ucsusa.org …. several good papers on water/energy from 2011 on. 1. Energy production accounted for 15% of the world’s water withdrawals. In the U.S. that number is higher (40%) as Jane indicates. In many other countries, agriculture accounts for far more water withdrawals and consumption that energy production. 2. Once-through cooling for steam cycle power plants does indeed account for a large percentage of water withdrawals in the U.S. However, these plants return nearly all the water to the source waterbody. They don’t consume the water, making it unavailable for other uses. The issue with once-through cooling from an environmental perspective is the impacts to aquatic organisms, not with concerns over consumption. 3. The amount of cooling that a steam power plant needs depends on the efficiency of the plant. Higher efficiency, lower water needs. For most large steam electric stations, where efficiency is around 35-40 percent, dry cooling would not be an option. Recirculating systems (i.e. cooling towers) or hybrid systems could be used to reduce water withdrawals. This is what is happening in the U.S., where the majority of new power plants are built with recirculating cooling systems. Modern high-efficiency steam electric plants have much lower cooling needs than their vintage counterparts. 4. Water use by power plants has become a factor in technology selection for many countries faced with water shortages. Developing countries are most vulnerable, because electrification plans will greatly increase water demand. As a result, gas-fired generation (gas turbines or reciprocating engines) and renewables are becoming more attractive in water-stressed areas. Nice run down, Dawn, but gas that comes from fracking wells is very water intensive …. 2-10 million gallons per well. Wind and solar can provide very nice micro grid installations in developing countries without using the local water. It’s hard to get around evaporative “consumption” of water, even when a once-through cooling cycle is used. Yes, the volume of water discharged will equal the volume withdrawn, and the discharge water can certainly be recycled for other purposes. But it will be warmer than ambient on discharge, and will return to ambient primarily through evaporation. The only way to avoid losing water to evaporation is dry cooling. As Wilmot noted earlier above, the heat transfer rate for dry cooling is lousy compared to wet cooling, and a much larger surface area for heat exchange is needed. But larger and more costly heat exchangers aren’t the biggest problem with dry cooling. More problematic are the loss of plant thermal efficiency due to higher condenser temperatures, and the large day to day variation in condenser temperature and steam pressure depending on air temperatures. On hot summer days, generation capacity would drop to a minimum right when it was most needed. There’s a way around that problem. It’s a closed system using a geothermal store to supply cooling water at a near constant temperature. The geothermal store is then cooled at night and in the early morning hours, when air temperatures are low. It’s an efficient but expensive solution. It’s an example of the type of capital-intensive project that would have a very long working life and very low post-construction O&M. It would eventually pay off, but would be hard to fund by any conventional means. On the other hand, a large geothermal store for closed cycle cooling water as a municipal utility would be an intriguing addition to a smart city’s development plan. It could drop the cost and energy consumption for air conditioning and be attractive for new businesses. Thermoelectric power generation requires large volume of water for cooling the plant and given that water for thermoelectric power generation is the largest consumer of water and that the water use by thermoelectric plants has more than quadrupled in a little over 50 years, (from 40 billion gallons per day in 1950 to 201 billion gallons per day in 2005), thermoelectric power generation is a crucial driver of the water–energy nexus. Though dry cooling systems would lead to the minimization of water withdrawal and consumption, dry cooling leads to less overall power plant efficiency and has a high capital cost compared to closed-loop cooling systems. In addition to water use for cooling of thermal plants, water consumption is associated with the mining, extraction and refining of primary fuels (such as coal, oil and uranium) for power generation. Production of fuels and thermoelectric cooling adversely affect the quality of water in the State where the primary fuel and/or the power is generated or outside the State but in the jurisdiction where the fuel or/and power is imported from. However, the full price of water is not accounted for in the pricing of electricity. In contrast to thermoelectric power generation, renewable energy technologies such as solar photovoltaic systems and wind turbines require no cooling water and only minimal water for washing the panels and cleaning blades. Because water and energy are intimately linked,sustainable electricity policies such asEnergy Efficiency Resource Standards (EERS) and Renewable Portfolio Standards (RPS) have a sustainable impact on water. This, we demonstrated in a recent publication on three Mid-Atlantic States; Delaware, Maryland and New Jersey. By means of scenario analyses, the study estimated that if the three case study states (Delaware, Maryland and New Jersey) were to implement successfully their electricity policies of RPS and EERS targets (combined) by 2025, these three states together could attain an average reduction of 35% in water associated with their electricity (34% in Maryland, 35% in Delaware and 37% in New Jersey), and this would enhance energy security, economic and environmental sustainability and water equity. There should be continuous investment in research and development of less water-consuming power technologies and power efficiency improvements. One overlooked aspect in this great conversation,beyond consumption by the power sector, is how water is currently priced and how it should be priced? It starts with a very basic problem of ‘metrics’. How do we measure water? Water is measured (and charge for) by the volume. But the value of a gallon of water is highly dependent on location. For instance, the typical difference in annual total rainfall between northern and southern California is fifty-fold – 100 and 2 inches, respectively. Clearly a gallon of water in the north has different value than the same gallon of water in the south, but how can this be quantified. The most logical proxy to use to sort out the geographic and economic differences in the value of water is the water-energy nexus. There is no shortage in water for those who are willing to pay for the energy to treat, convey, distribute and collect it after use. But water needs to be regulated to make sure that withdrawal does not lead to depletion, and priced in a way that captures the value of the energy and environmental externalities. When we price water as energy, we gain visibility. The energy intensity of water can be as low as 2 kWh per kgal or as high as 37 kWh/kgal (including desalination and conveyance). Assuming an electricity price of $0.15/kWh (to create a “value of water” benchmark), the energy price of water will range between about $0.3 per kgal and $6 per kgal. Using energy as a proxy can provide decision makers with visibility into the value of water. In California, it can replace the byzantine system of water rights where water can be virtually free for some agricultural users. The lack of clear pricing has scared off Silicon Valley entrepreneurs and investors. New pricing mechanisms and regulations may change this situation, but the track record of regulators is not encouraging. There appears to be some new technology that is relevant to this issue. The new technology is a variation on mechanical vapor recompression (MVR) for desalination and for treatment of waste water. It’s dubbed “DyVaR” by its Dutch developer SALTTEC. Its North American licensee, Texas-based STW Resources, Inc., opened a pilot plant last year for the town of Loving, Texas. That plant has reportedly been quite successful, and larger plants for other towns are now under construction. An interview with STW president Stanley Weiner was done for Oilprice.com and posted at Green Car Congress (q.v.). MVR is not a new technology. It’s been around since at least the late 1990’s. SALTTEC’s variant features a novel integration of the evaporator with a cyclone separator. It’s asserted that the combination enhances efficiency and enables complete evaporation with no buildup of scale or salt crystals inside the unit. The only discharge stream is powdery solids. That makes it particularly attractive for treatment of fracking flowback water. It eliminates the need to dispose of waste water in deep injection wells. (Hence the Texas and oil business connection.) But to process brackish or sea water, Weiner puts the cost at “about $1,100 to $1,300 per acre-foot.” That’s about half the cost expected for California’s new Carlsbad R.O. desalination plant. What I find most interesting about the technology is its apparent simplicity and low capital cost. There’s nothing like the initial microfiltration and pretreatment needed to avoid fouling of delicate R.O. membranes, and no waste brine stream to dispose of. I’d guess that it’s energy cost per unit of pure water output is higher than for R.O., but its non-energy O&M costs should be much lower. Most significantly, the low capital and non-energy O&M costs should make if feasible to run the plant from “as available” renewable energy. A plant of this type would be a major asset for grid stabilization, and could even recoup part of its cost by selling ancillary services to the power grid. That’s presuming that local regulatory comissions would be supportive of load-based regulation. The water-energy nexus is a sprawling set of issues that can encompass many facets of city and state policy — as the thoughtful comments on this thread have highlighted. To extend the points made above regarding the water impacts from thermal generators, it’s worth contrasting these kind of projects against renewable projects. Although solar-thermal facilities with wet-cooling can consume as much water as fossil fuel generators, dry-cooled solar-thermal, solar PV and wind power use substantially less (or almost no) water. I conducted a bit of research comparing facilities for this article published a few years ago. 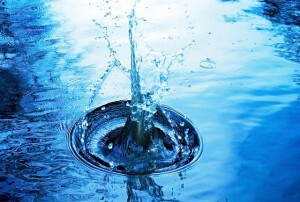 To return to the question at the top of the thread: Although hydrological and energy resources vary widely across the US, one easy “smart” approach is to quantify both the water used in various kinds of energy facilities in a given state, and to also analyze the amount of energy required to transport clean water and treat waste water. Using a life-cycle analysis approach to analyze both energy and water systems at the same time can unlock opportunities to save money for consumers and improve the efficiency of existing systems. While speaking at Energy Central’s Smart Cities Conference last month and then attending the American Water Works Association ACE event in Anaheim this week, I have taken time to go back and read all the comments in this discussion thread. First, thank you all for your thought provoking comments. I am often surprised by the general lack of understanding and concern for the water/energy nexus within the industry, so it is a nice change to read your viewpoints. Over the coming months NARUC and the US Conference of Mayors will hold meetings and it will be interesting to see the what regulators and municipal leaders have to say about water infrastructure and policy issues. I will also try to respond to many of your individual comments, but I didn’t want to let more time go by until my schedule permits more discussion.